I do not like pain of any variety. I think it is safe to assume that any sane person holds the same opinion. Pain is, well… painful! It is therefore to be avoided whenever possible. However, going through pain is unavoidable sometimes. Pain can even be a blessing in disguise. I recently had back surgery to relieve a very painful condition in my spine – a severe herniation of a disc in my lumbar region. I’ve had issues with my lower back for a number of years now, but nothing like what began to present itself in the middle of August. I began to have sharp pain in the top of my right leg. In fact, I thought it was in my hip. If I stepped the wrong direction or put too much weight on the leg, the pain was immediate. “Hmmm…,” I thought to myself. “I’ve got to drive to a conference in a few days. I’d better see my doctor about this. Maybe he can put a shot of cortisone in the hip or something.” I called the orthopedic’s office and made an appointment for the following week. But before I could get there, I took an ambulance ride to the local emergency room with debilitating sciatica. I woke up in agony on a Sunday morning and could hardly get out of bed. I could not fully extend my leg or walk due to the severe cramping and pain. In short, I have never been in that much physical pain in my life. After an x-ray to determine my hip wasn’t fractured, the kind staff at the ER administered pain killers, muscle relaxers and steroids (morphine is a wonderful thing when there is absolutely no bodily position you can maneuver yourself into for even an iota of relief). They discharged me a few hours later with prescriptions for more pain killers, muscle relaxers and steroids. Since treating spinal problems is a bit of a waiting game, my long days (and nights) of painful endurance began. The term “sciatica” is a broad stroke of the brush; the underlying cause for sciatic nerve pain can be for a number of reasons. In my case, an MRI showed a severe disc herniation at L4 and L5, which was compressing the nerve root and causing weakness in my right foot. The pain this causes is unrelenting, so my doctor ordered a nerve block and surgical consultation. The nerve block worked great until the lidocaine wore off in a couple of days. Then, not so much. So I determined just to hang in there until I could have the surgery a week and half later. The fact that I had to get clear of a medicine I’d been taking added a week to the whole miserable episode. A total of four weeks crawled by from the onset of the pain until my surgery. Nothing sharpens your prayer life quite like pain. Nights were the worst time of all, prior to the surgery. Even with pain medicine, I could not sleep more than an hour or so at a time. While I was awake, I tried to use the time to pray for others. It helped not to be completely absorbed in my own problem, as painful as it was. Sometimes “self-help” is no help at all. I learned quickly that there was very little I could do about relieving my own discomfort. My 3 a.m. conversations with the Lord often began with, “I don’t know what to do to help myself.” At one point I tried laying on my stomach over a pillow for a few minutes. When I experience some relief, I though, “Eureka! I’ll try sleeping in this position for a while.” But an hour later, I woke up in agony – I had actually made things worse! I finally resigned myself to trust the Lord and His care for me in the midst of my trial. My family and friends rose to the occasion in surprising ways. I never expected to be driven to doctor’s appointments by my parents at this stage of their lives – they’re in their late 80’s. Yet here they were picking me up at 4:30 a.m. the day of my surgery and waiting throughout the day until my discharge late that afternoon. Friends stayed overnight to keep an eye on me. Others helped practically with meals and housekeeping, or came just to hang out for a while. They also changed bandages for me. True friends always have your back and, in my case, even my backside! The whole experience has certainly encouraged me about the character and caring of my friends and the Lord’s abundant provision through every season of life. “Sciatica” is no longer just a word to me. I had experienced mild versions of it before, but this episode introduced me to a whole new realm of pain. Consequently, I have a deeper compassion for anyone with disc-related pain. If you’ve never experienced any, you have no idea how intense the pain can be. 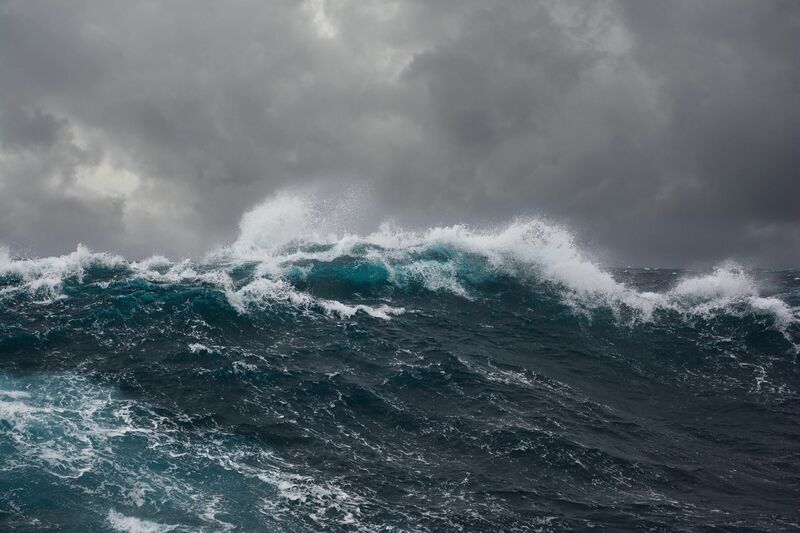 Pain is a God-given indicator that something is wrong; ignore it at your peril. My pain became a gift that exposed a serious medical condition; my disc had ruptured in two places. Pain became the catalyst to begin a healing path. And this whole experience could have been much worse. It could have happened to me when I was already out of town, perhaps still on the road, and away from the immediate help of family and friends. I am immensely grateful to God for His watchful care of my life. 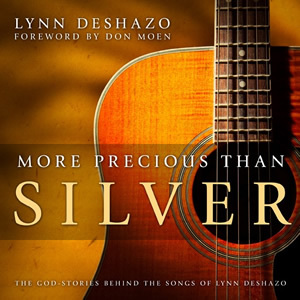 ← Purchase More Precious Than Silver: The God-Stories Behind the Songs of Lynn DeShazo now!